Let's explore the paranormal phenomenon known as black eyed children. Majority of us who are familiar with this phenomenon heard about it over the internet as yet another urban legend. But is it just an urban legend? Those who encountered black eyed children might not agree with those who claim that this is just an internet hoax. WHO ARE BLACK EYED CHILDREN? 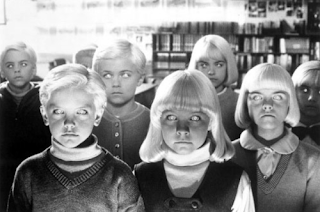 Exactly like their name says, these are children with solid pitch black eyes without pupils or irises. They generally either appear alone or in pair. No one surely knows who or what they are neither where do they come from. Most of the encounters with them happen at deserted areas. However, there are more and more reports of black eyed children arriving at people’s doorstep. It does not matter if the children approach you at the deserted area or if you open the door of your home to them, each encounter sounds pretty much the same. 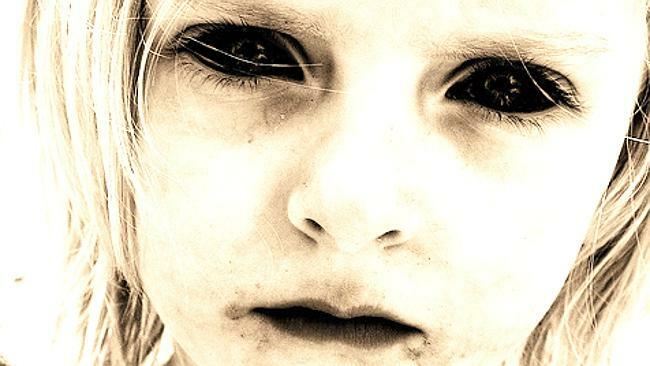 The moment you encounter black eyed children, you will feel extreme sense of danger without the actual reason for it. Furthermore, the children will desperately try to hide their eyes away from you by not looking directly at you or even hiding their eyes with hoodies or glasses. This might give you the impression that they are a bit shy. However, majority of people are immediately aware that something is very wrong when they encounter these shy yet extremely threatening children. Black eyed children will than ask you a favor. Usually, they ask for a place to stay or a ride home. For unexplained reasons, it seems to be terribly hard to reject them. However, according to the legend, it’s absolutely necessary to firmly and politely reject their request. Apparently, they don't give up easily and will proceed to ask you for a favor. It is important that you reject them every single time no matter how hard or uncomfortable it is. If you manage to get rid of them, you are safe. It is unknown what happens when someone complies with their requests. Some believe black eyed children will murder the person who agrees while others claim that’s how you become one of them. According to Mystic Files, black eyed children were first mentioned in 1988. That's when a journalist Brian Bethel allegedly encountered them. After he reported this strange event, several different people came forward with similar stories as well. Since then, there have been reported numerous encounters with black eyed children and, nowadays, the internet seems to be full of stories about these mysterious beings. Skeptics claim that Brian Bethel came up with the story to further his career and that the majority of the stories online are simply a fraud. On the contrary, believers state that there are just too many reports of black eyed children for all of them to be a fraud. So, which is it? No one can surely say. Both sides hold really good cases. Truth is, there are probably many frauds online, however, as they say, where there's a smoke there is a fire and, therefore, we shouldn’t just dismiss a person who encounters them. Instead, let’s keep our mind open and keep on investigating! Also, did you know there are white eyed children now as well? Learn about them here. There are rare cases when you have so much yet so little to write about. This is one of them. Facts of this mystery can be written in less than ten sentences yet one can write an entire book about all the unanswered questions and possible answers. 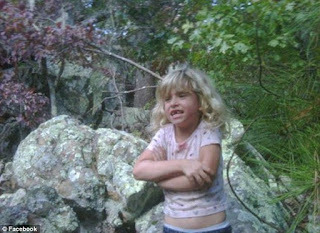 This story starts in October 2009 when the Jamison family mysteriously vanished. Their disappearance was an open case until November, 2013 when their skeletal remains were found only to raise more questions. Cause of the family’s death was never determined and circumstances surrounding their disappearance remain a mystery. Once you learn about Black Eyed Children and start to dig deeper, you might stumble upon similar type of beings called White Eyed Children. There is not as much information about white eyed children as there is about black eyed children and reports of encounters are much rarer as well. This might lead many to believe that white eyed children are just a spin off in the story of black eyed children while others, especially those who encountered them, claim that they are very real. 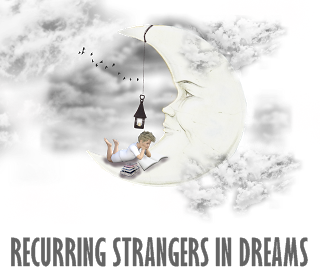 Have you ever heard the allegedly scientific fact that we can only dream faces we have seen before? At first glance this seems hard to argue with since we encounter so many different faces on daily basis weather on the streets or maybe on the TV. However, I believe this research might not be as correct or as scientific as it may seem. Firstly, the brain is probably one of the least understood parts of the body and especially dreams which seem to be incredibly hard to study. Also, doesn't it seem a bit strange that a human mind wouldn't have the capacity to invent faces? Can we imagine different faces while awake? Yes, we can. So, why wouldn't we be able to do the same while unconscious.